Automatically access, collect and unify all business data into a secure governed hub for faster, deeper analysis with all leading BI tools. 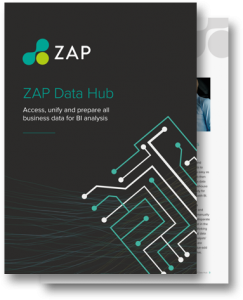 ZAP Data Hub connects, collects and unifies business data, integrating it into a secure, governed hub and preparing it for expert analysis with all leading BI tools. Working with an array of apps and data sources, tackling the challenges of data silos and manual preparation, delivering value to all business functions and allowing analysis by business process or team objective, as opposed to by IT system or file type. ZAP Data Hub connects your business with data. ZAP Data Hub significantly reduces the IT overhead associated with accessing and preparing data for analysis with BI tools. It delivers data governance and security, too. Its automation and intuitive interface replace inefficient and inaccurate manual processes, as well as the need for time-consuming and expensive data warehouse projects. 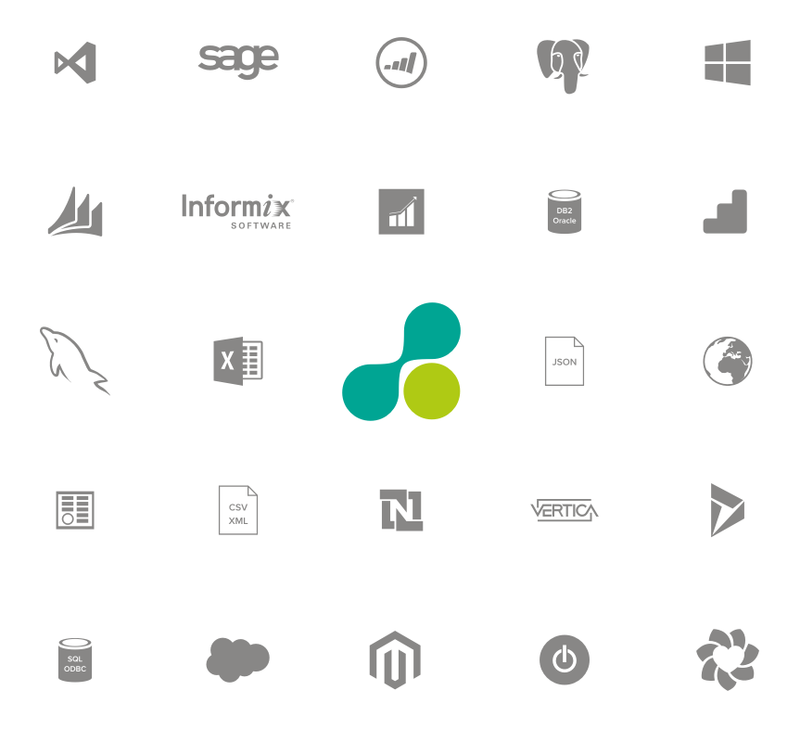 ZAP Data Hub provides easily-configurable data collection from apps and data sources of any type: from ERP to CRM, HRM to marketing automation. It delivers high-speed, stable data migration for even the largest and most complex data silos and this provides major savings on IT and data consultancy spend and maintenance labor costs, while mitigating risk associated with proprietary data processes and manual data preparation. ZAP Data Hub connects just as efficiently to cloud-based data sources — across networks, firewalls and realms — as those on-premise. And equally so for businesses that have a hybrid combination of the two, including those with multiple cloud and on-premise systems spread across international offices. No matter whether your applications and data sources are newly-installed or long-entrenched, heavily customized or out-of-the-box, ZAP Data Hub connects them. And it can just as easily connect to multiple instances of the same ERP or CRM system across different sites. As a result, data collection is transformed into an intuitively-managed process, while all the time reducing data collection tasks from days and weeks to hours and minutes. Data modelling with ZAP Data Hub is an intuitive, metadata-driven process using familiar business terminology and drag-and-drop elements, opening up the power and benefits of sophisticated data modelling to non-technical roles in the business such as Analysts and BI end-users. A wide selection of pre-set, optimized and verified data models for a range of apps and data sources are accessed via a simple-to-use, graphical interface that enables any data operation to be performed easily. Advanced modeling and transformations can be implemented through the same intuitive interface, enabling complex data interrogation and reporting requirements to be met without the need for expensive, high-maintenance and high-risk third-party or proprietary solutions. Users quickly reap the benefits of ZAP Data Hub’s proactive alerting, real-time warnings and error reporting. Usability is enhanced by having one screen for both the data warehouse and the semantic layer. The data model defines the underlying star schema structure of both the data warehouse and semantic layer that it automatically generates by designing fact and dimension tables, using many different transformations. 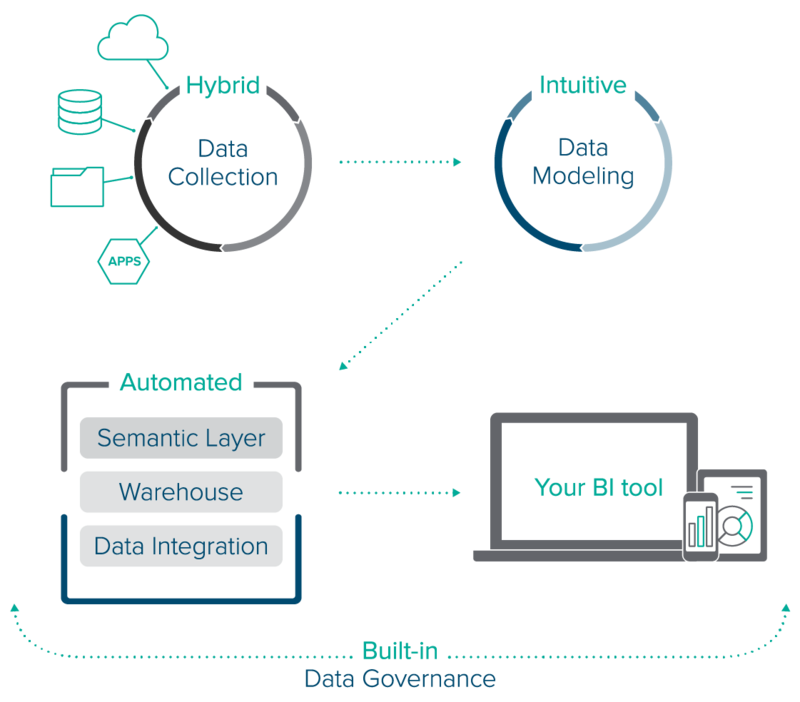 The model optimizes the data warehouse and creates all necessary keys, indexes and relationships for reporting — either directly against the data warehouse or the semantic layer. Accuracy, security and governance are at the core of ZAP Data Hub’s warehouse automation functionality. Meanwhile, at the user front-end, data warehouses can be built quickly and easily via an automated, step-by-step series of user prompts. ZAP Data Hub makes data warehouse-building a quick, non-technical process. 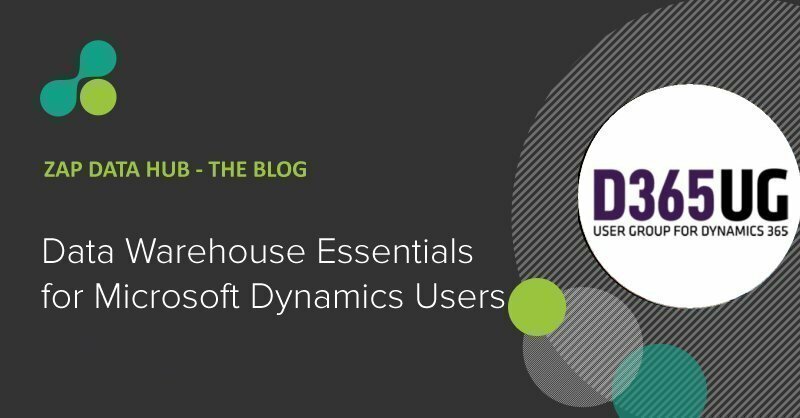 Yet none of the complexities and rich detail associated with traditional, manually-built data warehouses is lost. This is thanks to built-in features such as data type detection, profiling, automated and rapid data migration and incremental refreshes. ZAP delivers a two-tier warehouse structure (staging, and modern data warehouse) with self-generated data migration routines and in-warehouse ETL transformations. 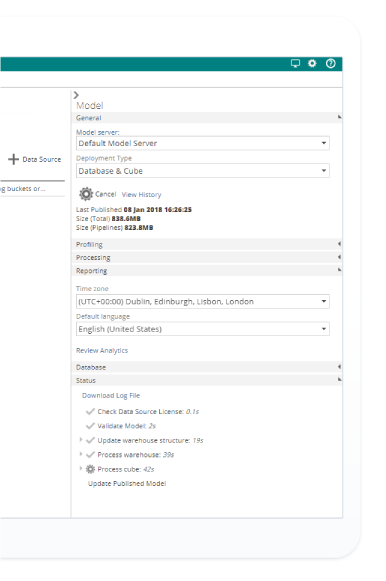 Semantic layer automation is another example of how ZAP Data Hub turns data management from a technical process for Data Engineers into a logical, business process open to non-technical users. Interrogate a data warehouse without the need for high levels of technical expertise, lengthy, specialist training or the time, cost and bottlenecks associated with consultant data specialists and key person dependencies. The benefits this brings ripple across a business. 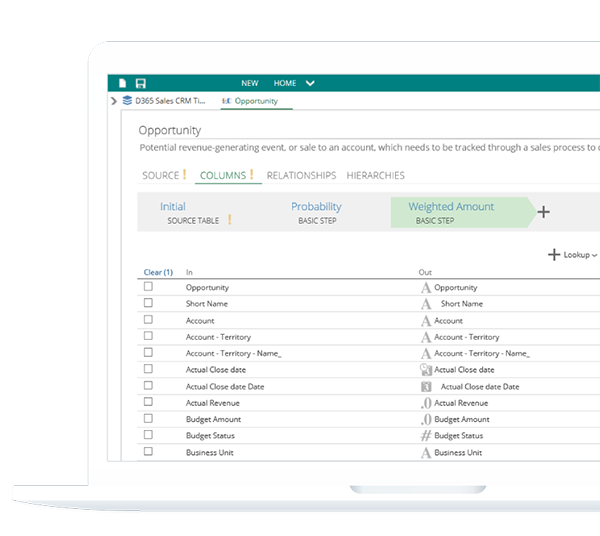 Those working in ERP, for example, become able to work with complex CRM data, or vice versa, using terminology they are familiar with, thanks to the automated semantic layer. 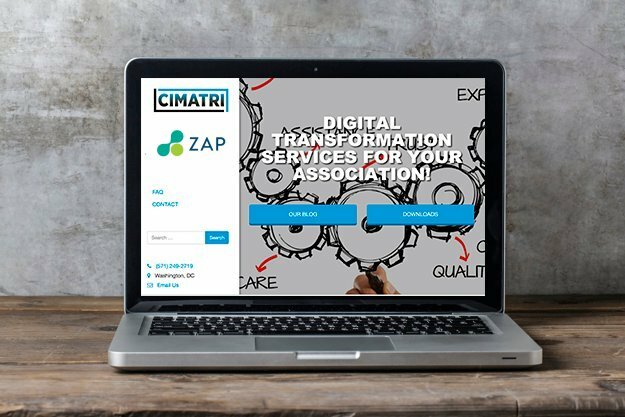 Semantic layer automation is one of the key features within ZAP Data Hub that removes complexity and improves time-to-insight and, in doing so, allows users to unlock the businesses value in their data and discover previously hidden insights. Using a caption-based metadata approach, ZAP’s semantic layer features cross-ledger querying, hierarchies and aggregations and materialized calculations (allowing you to deploy logical measures into the model). Usability is enhanced as both the data warehouse and the semantic layer can be viewed on the same screen. With ZAP Data Hub, nothing is missed, regardless of what level of business- or department-specific customizations have been made to the data requiring integration. Such customizations might hitherto have turned data warehouse projects into lengthy, manual processes or deter attempts to unify data at all. But with ZAP Data Hub this is replaced with an easy-to-use, intuitive and — above all — faster means of collecting and integrating data. Using ZAP for data integration means tasks that might usually have taken Data Engineers weeks or days are turned into app-based taps and clicks. They can be set up and carried out by non-technical team members thanks to ZAP’s intuitive, graphical user interface and self-service help tools. If additional and related data sources are required, these can be integrated regularly and scheduled automatically, with per-table and per-column mapping and union also morphing from manual, labor-based tasks to quick, app-based taps. Regardless of geography, file type, size or user-customized attributes, ZAP Data Hub integrates data silos quickly and efficiently with features including data profiling and recommendations, automatic merging of tables, multi-threaded and/or parallel migrations and incremental loading and updating. 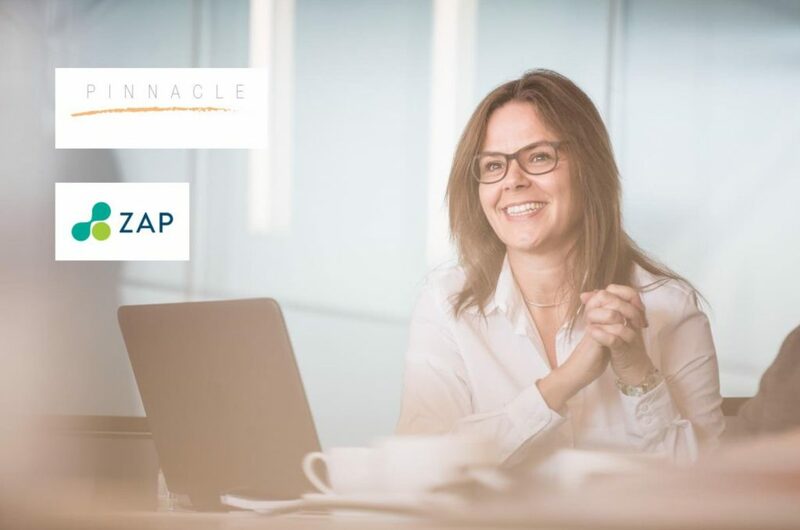 Data governance is one of the most important considerations of any business and one which transcends technical features, lying at the heart of corporate best practice, customer trust and compliancy with legal directives such as GDPR. ZAP Data Hub automates, controls, audits and logs all aspects of data governance and security, covering everything from password and access control to reconfiguring mismatched data definitions. Enterprise-class controls set security permissions, regulate access and protect data at any level of granularity, while data governance is controlled at four separate levels: user, resource, warehouse data and cell data. Data lineage is governed separately, with history tracking, auditing and monitoring also included. Without ZAP Data Hub, a business’s data governance processes — if they exist at all — might be handled by manual labor with all the potential for human error and financial cost that entails. Self-service BI tools magnify this challenge further, allowing users accessing source data directly or manually preparing data for analysis. These challenges are solved by ZAP Data Hub’s built-in data governance functionality. The platforms and standards on which ZAP Data Hub is based assures both its reliability and its feature-rich capabilities. Multi-lingual functionality, for example, allows users to automatically translate pipelines, fields and values from a data source augmented with app-specific integrations. ZAP Data Hub SaaS is built on Azure and SQL Server with AD, Azure AD and ADFS enterprise authentication. ZAP Data Hub’s resource-based approach and concept is reusable and highly flexible. Pipelines, scripts, security roles – and even data sources and data models – can all be treated as resources. As such these resources can be moved, copied, pasted, exported and imported, this flexibility becoming the foundation for a whole set of business-wide and end-user benefits.